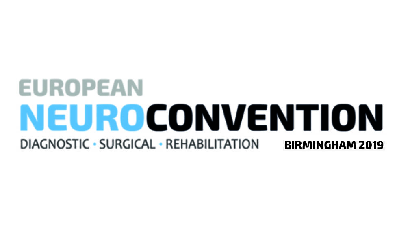 Summit Medical and Scientific are looking forward to attending the European Neuro Convention on the 26th and 27th of March at the NEC Birmingham! The European Neuro Convention is Europe’s only trade event for brain and spinal rehabilitation. Find us on Stand 113 next to the visitor’s entrance where we will be demonstrating the C-Mill treadmill, the ArmeoSenso upper limb rehabilitation device, and the Andago free-moving body weight support system. We’re pleased to be representing our partner Hocoma, who have developed the Total Solution for neurological rehabilitation. From acute inpatient rehabilitation to outpatient therapy, Hocoma’s devices incorporate robotics and sensors for functional movement and gait therapy to suit all needs. As a Hocoma distributor we are proud to offer the Andago, Armeo, C-Mill, Erigo, Lokomat and Valedo to clinical partners in the UK. Hocoma’s devices are suitable for rehabilitating neurological conditions, brain and spinal cord injuries, stroke, Parkinson’s Disease, movement disorders, amputees, cerebral palsy, stability training, and fall prevention, geriatric and paediatric patients, upper limb impairment, Guillain-Barre Syndrome, balance disorders, walking disabilities, and musculoskeletal disorders. We will also be representing our partner Motek, who have developed innovative neurological rehabilitation devices for gait and balance therapy, evaluation and analysis. Their latest release, the RYSEN, is the next generation of 3D body weight support systems, assisting patients in an all-directional, assist as-needed capacity to improve movement function. Make sure you visit Stand 113 to find out how Motek and Hocoma’s Total Solution can benefit your patients. We offer clinical trials for these devices to be used by your own patients, read more about our clinical trials here. We’re also pleased to announce that we will be demonstrating the Andago body weight support system in the Live Demo Area on Tuesday 26th at 2pm and Wednesday 27th at 11am. We look forward to sharing more information about these sessions closer to the event.